I’m not writing these words with any presumption that there is some sort of a preparedness rule to be followed; rather I do so in hopes that my rationale may cause you to think strategically on this matter in a way that benefits you and your family. Nowadays it doesn’t take some catastrophic event to cause our electricity to be disrupted for several hours at a time. The fact of the matter is, our grid system is vulnerable to all kinds of interruption events. Weather, utility digging, a poorly timed auto accident, and even financial woes can bring about black and brown outs. I don’t know about you but when this happens I used to always worry about what would spoil in the refrigerator and freezer when this happens. There’s nothing worse than seeing $200 worth of pot roasts and Haagen-Dazs ice cream go bad all because the appliance shut down from weariness or a power outage. As such, I’ve decided to be more proactive in determining what my vulnerabilities will be in such possible circumstances. So I methodically determined what I keep in my freezer and refrigerator and how much of it in an effort to mitigate potential losses. I call this mindset my refrigeration strategy. Strategy #1- STUFF it! 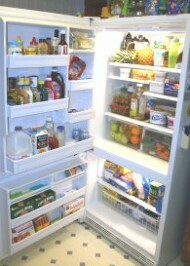 The fewer items in the refrigerator and freezer. the faster it will increase in temperature without constant electricity. The reason for this is that when you’ve frozen a full freezer or chilled a full refrigerator, all of the items act as insulation for each other if the power source is interrupted, providing you with a longer window of endurance in the event of an outage. Mind you, this strategy does have it’s down side; I have to constantly reassure my husband that the groceries I bring home will fit and I suppose it also means that if there is a long power outage that I’ve just put that much more food and supplies at risk; but I believe I mitigate that with some other strategies. Strategy #2: Can the Meat: The #1 item found in both refrigerators and freezers is meat. It’s obviously quite rare to find one of these appliances without it. In my household we store only those meats which I don’t care for canned such as shrimp, fish, lunch meats and leftovers. By canning my meat—which is a very, very simple process, I not only eliminate the possibility of losing this expensive menu item, I also save myself time when cooking in the kitchen. Rather than cooking up the meat and then shredding or deboning it, I can readily use the canned meat and only need to warm it up. Additionally, canned meat is SO much more flavorful than frozen and I never have to worry about freezer-burn. I think it bears repeating that using this strategy eliminates my exposure of losing or ruining my most expensive food source. Strategy #3- Eliminate Unnecessary Items: This strategy is applied to my freezer. Rather than take up lots of space for ice cubes, ice packs, or other items that rarely get a glance all year round, I simply make do without. I do have a super small ice cube tray, but we mostly drink water in my household and that already comes out of the dispenser cool. In a time of crisis even room temperature water will aid my body in regulating its heat. So I haven’t lost out on anything. If there’s an injury that requires an ice pack of sorts, there are plenty of other items I can use from my freezer rather than wasting space with non-food items. Eliminating unnecessary items also applies to food items that do not require refrigeration by which so many folks believe otherwise such as ketchup, mustard, and pickle relish. While keeping these items at a cool room temperature serve them best, there really are a lot of items that we refrigerate or freeze today primarily out of habit. 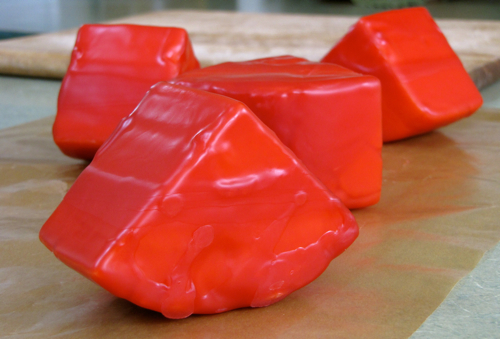 Strategy #4- Wax Cheese: Yes, I’m a cheese fiend. I admit it. But the truth of it is, is that my initial attraction to being able to preserve hard cheeses without preservation was that I didn’t need to take up the enormous amounts of space in both appliances. By learning to successfully wax cheese, I’m able to free a lot of space for other items that I’m not able to preserve so easily. Before I implemented this strategy, I had an entire refrigerator full of nothing but cheese, when in fact, one of the first things I should do when I purchase hard, store-bought cheeses is to go home, take off the plastic wrap, wrap it loosely in a paper towel, bag it, and then put it in the refrigerator—enabling my cheese to breathe properly like it does during its typical cave aging process. Real cheese (hard) has got to breathe. Plastic wrap doesn’t allow for that. 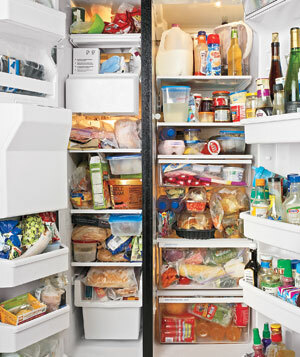 Strategy #5: Rotate, Rotate, Rotate: The longer an item stays in the refrigerator or freezer the less valuable it will be as a nutrient to your body. Even in the fridge, food can only last so long before it is no longer recognized as a “food”. As such, staying on top of what you’ve got and USING it strategically is important. The fresher the item is, the longer it will last in the event that the power goes out unexpectedly. Strategy #6: Cool Before You Store: You never know when an outage will take place, but when you put something in your cooling environments, an item that is still warm will drop the temperature in the refrigerator quickly before the appliance is able to reverse that effect. I’m not sure I can entirely bite off on this theory, but I once listened to a doctor’s lecture who stated that there were thousands of food poisoning deaths per year that could have been prevented if the temperature in the refrigerator had not been brought down due to placing hot left-overs in it. With all of this said, if you were to look at my refrigerator and freezer, I suspect that it might look very different than your own. I strategically only put items in it that I love and that have no other preservation option. By adhering to my other strategies, though, I make more room for my must-have items which I bring home such as frozen vegetables, yeast, milk, cream cheese, ice cream, and leftovers. It’s not the end of the world if the veggies, yeast, or cream cheese thaw. I can always eat the ice cream a little faster. *grin* And if my milk get’s warm, there’s still yogurt, ricotta cheese, or other dairy products I can make from it at room temperature or warmer. Perhaps now you might understand why I cringe a little bit when I read comments about how folks store this and that in the freezer or refrigerator. Nuts can easily be stored in vacuum sealed Mason jars. Meats can be canned. And while I love my frozen veggies over canned ones, I've still learned how to cook and use the canned ones--along with a few of the fresh produce from my garden this year. In my opinion, the fewer vulnerabilities I expose myself to now, the better. Just some food for thought. Great FOOD for thought! I just bottled butter I had been buying on sale & putting in the freezer. Next is to smoke & can sausage fatties. Got the bacon canned WHOA THAT STUFF IS REALLY YUMMY. We have a calf going to slaughter mid month so gotta clear out the freezer & get ready to do some major ground beef canning. I love canning meat. In order to keep our freezer as full as possible, we would fill 1 and 2 liter bottles with ice and put them in there. This helps it stays frozen as long as possible, and doubles as water storage! Good ideas. I agree with you and practice most of your points. I need to get to work on the meat canning....Have done a lot, but when you buy a side of beef...that is a LOT of canning! We lost our meat freezer twice in the last 2 months. The first time we were cleaning it out and broke a coil. We were able to put the meat in a friend's freezer. The second time was 2 days after the freezer was "fixed." We didn't find out until most of the contents were thawed (but still quite cold). That was our sign to start canning meat. The extra space in our freezer is now filled with water bottles until hunting season is here and we can fill with venison and turkey - but we will probably can quite a bit of that too. Does the canning reducing the nutrients or quality of the meat? I've got a freezer full of meat at my house and a freezer full of meat at my parents house across the street. I also have a nice pressure canner. But I've been afraid to can meat because I don't know if we'll like the taste or if it will change the nutrient value. Do y'all just have plain canned meat or is it spiced or canned like a meaty tomato sauce? No more than cooking it does. I'd look up "can meat" on the blog and you'll get all of the details, including why I purposefully do not season my canned meats. Freezing jugs of water is the norm in South Mississippi. In the event of a hurricane, these frozen jugs will help for a while to keep things cool in your unit during an outage. They can also double as ice for an ice chest to keep the most used items cool during that time. So many folks are leery of canning their own meat, but take it from me..it's one of the easiest things I've ever done and the rewards are great! Kellene is right on the mark about canning your own meat and I'm so glad she taught me how! ;-) It saves time during meal prep, it saves money, and gives you peace of mind when others are losing their heads. Along with learning to wax your own cheese, learn to bottle butter. That's a must! Dairy prices (like everything else) have gone through the roof so finding items on sale and preserving what you're able to just makes sense. Also, invest in a sun oven..they are awesome, easy to use and so practical. Prepare, prepare, prepare! We also bought a Gardenmaster dehydrator last winter when we learned we could effectively dehydrate frozen vegetables purchased from the store and our favorite store had great sales on frozen veggies... Once the vegetables are dried, they can be "Food Saver"'d in canning jars and stored in the dark. Just beginning our shelf-stable, long-term preparedness journey, but have been playing with the rehydrated food with good results! Thanks for the encouragement with canning meat -- we have experimented with several kinds and are deciding which meats to put into full production -- and the new information on waxing cheese! Very grateful for your encouraging efforts! I totally agree! I learned so much from experience when we were out of work for 10 months during the recession, as they called it. I am excited to do a little more meat canning and cheese waxing for the very same reasons you mention above. Now that I am back home, I have the products and equipment to get started on that. YAY! It was SO worth the trip. Couldn't agree more! I LOVE my canned meats! And the peace of mind of not worrying about it all getting ruined when the power goes out! I can butter too, & make my own out of shelf stable whipping cream. And a solar oven is a must! Then you can heat all your canned meats if you want to. I do probably need to work on rotating better as Kellene suggests. My freezer is largely full of freezer jam. I have canned jam as well, but we love the flavor of freezer better. I'll just have to risk that I guess! Kellene: I noticed thatnyu did not mention having a generator hard-wired into the house, so that when these outages occur, yu can just flip a switch to save ur frozen and chilled goods. But then I like thje stratgies that yu have listed. It is always good to be thoughtful of what is in the refridgerator and to have a timely schedule to elimate it. My wife always serves me the leftovers the next day, for lunch. And she serves me in bowls or plate sizes used to play little cook, in a childs dol;l; house. That is her way to help me reduce eating too much. If you do a search on "generator" here on the blog, you'll see my personal feelings about generators which will explain why I didn't mention one. How do you like your sun oven? I want to get one but I've read a lot of comments from people who have bought them through amazon and they mention that there is a toxic smell emmanating from them as they cook and it never goes away. Have you found this to be true? And if so, does it affect the food? I'm a little hesitant to make this purchase although I have put aside the money for it. Marly---I LOVE,LOVE my sun oven! I got mine on ebay from a distributor named Lynn who has very competitive prices and no, there's never been any odor. I don't know what amazon is peddling, but my sun oven is one of the best investments I've ever made. The following is just a sample of what I've cooked in it and I'm pleased to say that all the meat used in these dishes was meat that I canned myself...Beef pot roast with veggies, red beans & rice, beef stew, pork roast, chili, brownies, cherry crumble dessert, cornbread, pasta, banana bread, savory chicken breasts, chicken noodle casserole, wheat bread, muffins, homemade mac & cheese...all cooked in my sun oven! Don't hesitate to get one, but do be sure that you research the seller before you make a purchase. Mine came with a couple of pans just the right size for the oven. Wish I could spring for another one right now, but a grain mill will be my next investment. Good luck, Marly and good cooking wishes to you! 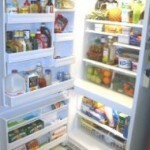 Here is a chore that will save you money and make your refrigerator last much much longer (which could be critical in a ? situation). As a commercial refrigeration technician, about 90% of the mechanical problems that I deal with are caused by a dirty condenser (the radiator thingy that gives off heat). They collect dust and get stopped up, which makes them shed heat much less efficiently. It also cooks the oil and causes problems including compressor failure. I use a condenser brush (2" diameter and 18" long available at most home improvement stores) and a vacuum. Be sure to use a dust mask, as every virus that's been in the house will be in the condenser dust. This is something I have been thinking about the last few weeks. I started filling bottles with water to put in the freezer in case we have a hurricane or lose power for what ever reason. We do not want to lose anything if possible! Still have not gotten the cheese waxing down! I have learned to can most meat from you. Thanks.We dont keep much in our freezers outside during the summer. Starting from June through Nov..bare minumum that we can safely eat or can in a hurry(after Rita we threw out 12 garbage bags of food from the freezers and frige) so now we keep what we use during the time we think it will get used and in place store bags of ice that we can use in the coolers to keep water and other items cold after a hurricane.Really helps to have cold water when its 100' and no air conditioning.oh and we got a generator and were prepared for Ike.lol..and anything that comes our way this year. Kellene have you tried making your own cheese? Its fun and very simple...Kroger just had cereal and free milk on sale I got the cereal and 4 gallons of free milk..to make cheese with.Keep up the good work..dont know what I'd do with out the Preparedness Pro. Thank you again for lending new and expanded options to our resources. I continually learn some small bit of information everytime I stop and check-in! Is it still possible to buy something to vacuum pack things in Mason jars? If so, can you give me the link? We had such a pump many years ago, but nowI can't find anything except the bag sealer. Carolyn, Amazon.com has the FoodSaver jar sealers for around $10 or you can also get them from the FoodSaver website. They come in both regular and wide mouth sizes. It's an attachment/accessory for the FoodSaver bag sealer appliance. I usually use the flat end of a bottle opener to get that flat lids off of my canned goods. You want it good and tight. It shouldn't come off easily. 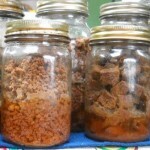 I've been canning smoked salmon and was wondering if you have every canned beef or venison jerky. My kids love Jerky and when you dehydrate it, it shrinks and would not take up as much space. I have nearly ZERO experience when it comes to handling the wildlife meats. Chasing a chicken is about as good as I get. :-)I have lots of jerky though that I've purchased. I just keep that in a Mason jar and seal it with the Foodsaver jar attachment. The jerky that I have stored is already vacuum sealed with an expiry date over a year from now. Isn't that sufficient without having to put it in sealed jars? I recently bought a vacuum sealer off of ebay similar to the pump n seal that seals any jar. Totally manual and low tech! Right now I've got sugar and rice taking up space in the freezer since the cold kills bugs and I live in a hot climate. Around here it's shuffle and deal trying to find space to store everything. Didn't realize that tidbit about placing hot leftovers in the fridge. Thanks for the thoughts. Something that wasn't explicitly mentioned yet is the timing of canning your meat. If you prefer, for any reason, to keep meat in the freezer, just do it...for now. When the power goes out and the meat begins to thaw, THEN can the meat. Get a camp fire or propane burner going and pressure can the contents of your freezer one batch at a time and nothing should go to waste. A commonly forgotten aspect about self-reliance though is that if you believe that there are "emergency moments" in store then doing the work ahead of time is much wiser while you have the comfort of your home and technology. I doubt that any of the people who are suffering without power right now in the East are thinking too much about canning. Preparing to conserve physical and mental energy is a key to self-sufficiency. The problem with this is - if the situation that caused the electricity failure happens in the evening then, you have very little or no light for working in your kitchen to can. 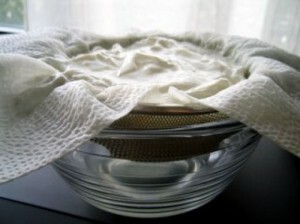 This makes it more difficult to make sure you have clean jars and lids as well as the proper head space in your jars. Also, the situation causing no electricity could also cause you to need to leave your home temporarily. Your water situation could be compromised as well. As the proverb goes, make hay while the sun shines! Trae--what preparedness planet have you been living on?? Oil lamps... lanterns, solar generators, etc..all solve the no light and no electricity issues. Water preparedness is vital everyday as well as in a no electricity scenario. You might want to browse the more than 1,000 articles we've written to help people realize that they are not helpless just because something really big makes its entrance. Love your site..tons of info. I have 2 questions. I bought bacon and hamburger from Zycon (Awsome people) and I canned most of both. when I take the bacon out of my jars it sort of falls apart. I put it on a baking sheet and I can bake it but in little pieces. Also my hamburger canned beautifully! BUT it has a funny taste. It's not bad, we have had several jars of it, but it just has a funny taste. any suggestions?? I canned the burger slightly cooked, not liquid. I canned the bacon in parchment paper as directed. There are two things you can do regarding the bacon. 1) I double stack mine in the strips on the parchment paper 2) You can par-cook them before canning them by laying them out on a cookie tray and cooking for about 5 to 10 minutes at 350, and then put them in the parchment paper. As to the hamburger, I've written several reasons why hamburger may taste different after the canning of it, bu the #1 offender is the water used to can it with. I only put in purified water. If you're using Zaycon's meat then that eliminates the 2nd most common problem which is quality of meat. 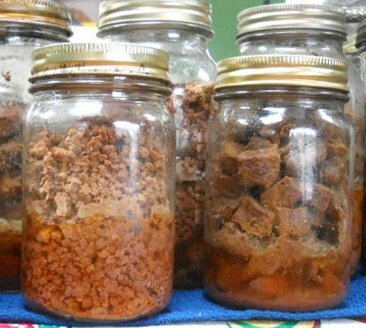 Another method you could try is NOT cooking the ground beef before canning it, and pressure can it just like you would the raw chicken breasts or other meats that you can succesfully can via the "dry pressure canning method." For that which still may be off putting to you, just add some beef bouillon to your ground beef in whatever you're cooking it with. I personally have never had my meat taste funny, but then again, I've been a fanatic about using good quality of everything before I can it AND salt AND only purified water.